David F. Powers was the Special Assistant to President John F. Kennedy. As the Special Assistant to the President he also served as Assistant Appointments Secretary. In addition, he greeted and escorted important White House visitors; accompanied JFK of his foreign trips and perhaps most importantly served as friend and confidant to President Kennedy. He was involved in making the arrangements for the state funeral of the President and continued as a White House Special Assistant until January 1965 when he was asked personally by Robert F. Kennedy, the president's brother and Attorney General, to begin assembling and collecting Kennedy papers and memorabilia. After resigning from the White House, David Powers became the Museum Curator of the Kennedy Library until 1994. 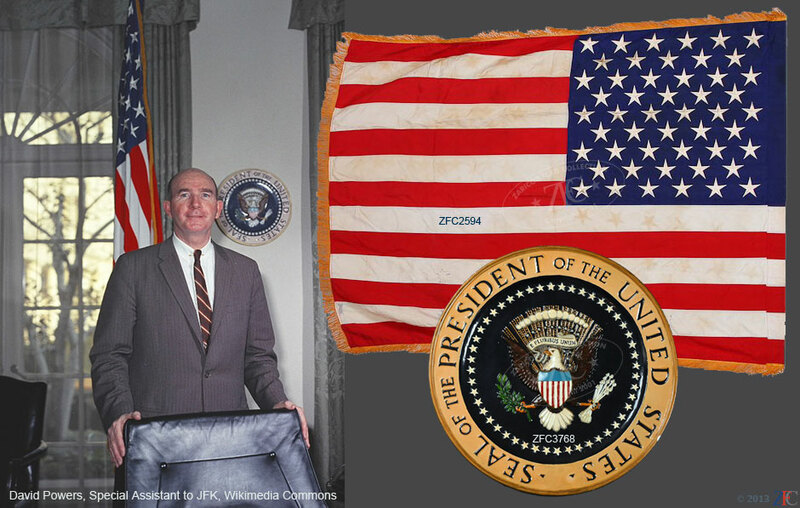 This Grouping contains David Powers' West Wing office seal, personal photographs, reports and other memorabilia pertaining to the fateful day in Dallas that ended the Kennedy Administration and began JFK's legacy. Significant and unique is Powers' personal copy of the schedule for the 21-22 November 1963; which he annotated on that fateful day "My President is Dead." All of the items in this Grouping were acquired from the David Powers Estate and were from his personal archives.